Our team is proud to present you, the second hot air balloon from Star Wars movies, Master Yoda himself ! 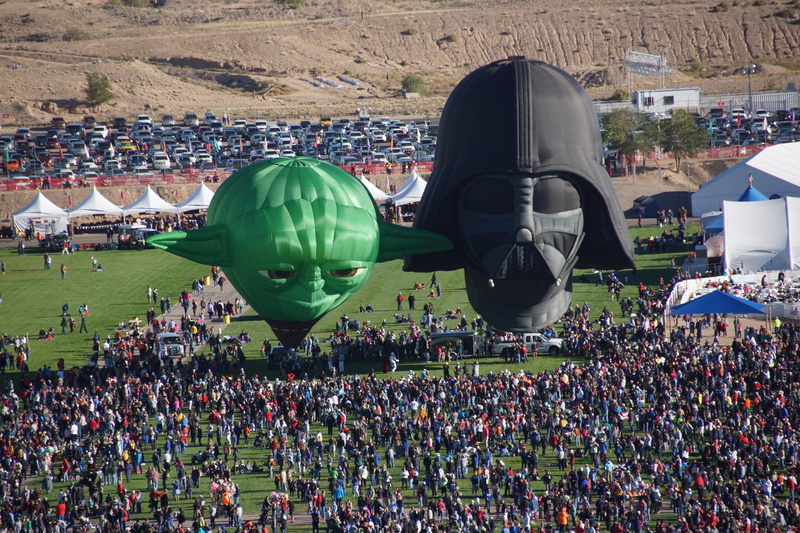 The idea was to create a new shape from Star Wars, the master yoda balloon is a very small balloon, as the hero from the movies, the size is 56, the Darth Vader is 105. The first apparence wa made in october 2014 at the Albuquerque International Balloon Fiesta. a preset we wanted to do to the balloon community in Albuquerque. Surprise was big for everyone ! As the media says… we « stole the show ». 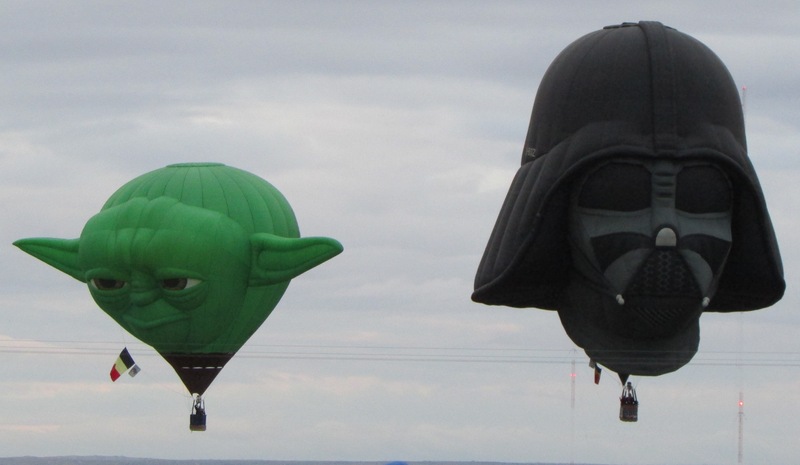 Master Yoda made 2 flights and 3 ground inflation during the Fiesta. After this event, both shapes were in Lèon, in Mexico to ending 2014 flight season.